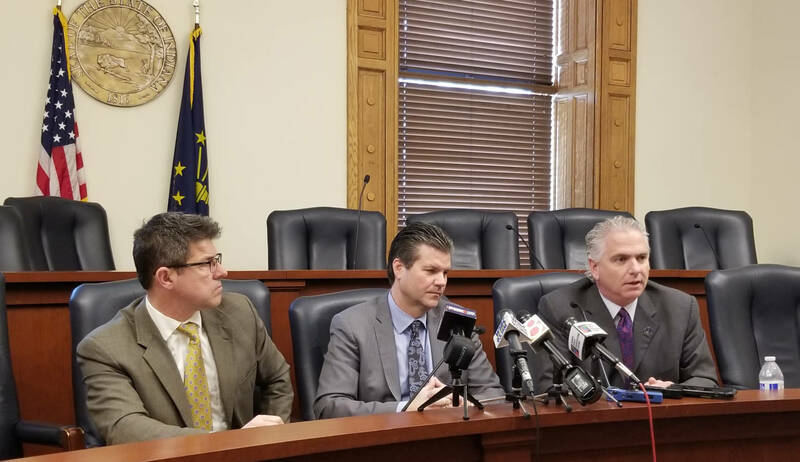 Senate Republicans released their budget proposal Thursday, but Democrats say plans to address teacher pay are still lacking. The Senate GOP budget proposal would send $535 million more dollars to schools over the next two years – a $74 million increase compared to the House proposal. But the Senate plan would also cut the amount of money that goes to virtual schools from 90 percent of tuition support per student, to 80 percent. The Republican plan also includes the governor’s proposal to pay off some teacher pension debt for schools, but instead of using the state’s reserve fund, it would dip into the state’s Pension Stabilization Account. It would also require districts publicly explain where they use those savings – lawmakers have said they should go to teacher pay. Senate Republicans aligned with their counterparts in the House and want to keep the state’s Teacher Appreciation Grants. But the Senate plan would go a step further and boost funding for the program by $30 million over the next two years. It would also require some money go to new teachers. Democrats offered an amendment in a committee meeting to create a salary grant program for teachers that could boost their pay by 5 percent. The proposed salary grant would come from the $60 million currently allocated for teacher appreciation grants, savings from proposed changes to the school voucher program, and funding the House wants to use for increasing charter school grants. Sen. Eddie Melton (D-Gary) says unlike proposals from Republicans, the Democrats’ plan guarantees more money for teacher salaries. The GOP proposal also gives more money to the state’s reserve fund than proposals from the governor and House. Democrats say that money could be used elsewhere. But Republicans, including Sen. Eric Bassler (R-Washington), say how much money goes into reserves depends largely on the state’s revenue forecast. “It’s easier to say well, we’ve got a few extra dollars that we can allocate, and allocate those dollars than it is to make cuts,” Bassler says. Gov. Eric Holcomb said in a statement following the budget announcement he appreciates the work done by Senate budget writers. “There are now three budget proposals – the House, the Senate, and my administration. Now we can and will build consensus during the final stretch,” he says. The state revenue forecast comes out next week. Lawmakers will need to agree on a state budget before the session ends later this month.